Funnels don’t just provide you with conversion numbers, they provide you with insight into how your users behave. Your app funnels have the potential to show you much more than just conversion rates when you dig into the data. Further analyzing them will point to potential areas in your app where users are having issues. They can also help you measure the value of your existing marketing campaigns and discover opportunities for new ones. Let’s walk through the ins and outs of analyzing funnels and how they can be used to achieve their ultimate goal: converting users. Number of users and conversion rates – these two metrics alone help paint the picture from stage to stage and serve as a snapshot of your funnel’s health. Tracking these helps you identify the users engaged in the funnel and how successful that funnel is in eventually converting those users. However, they alone can’t tell the story of your users, and it’s important to dig deeper to add context. One way to start is by assessing the funnel’s performance across specific date ranges to monitor both week-to-week performance and exact dates of marketing campaigns. Always take the time to click into the details of each event, as there is something valuable to learn about optimizing every stage of the funnel. That’s where you’ll find detailed information around user drop offs, screens viewed within the funnel, and data by different dimensions in a given time period. So you’re not converting users – where are you going wrong? All funnels are different and unfortunately that means there could be many reasons as to why your conversion rate is lower than expected. One possibility is the timing of your funnel. Some funnels are naturally more time consuming – if one funnel is built with multiple events, they may take additional sessions or days to complete. Other funnels, ones that are made of only 2-3, easily-completed events, you can expect to be completed in a single session. Another scenario is that you might discover your users are navigating through your app in a different way than you predicted, and outside of the funnel events you set. Lastly, the most dreaded option; your users are simply abandoning your funnel. There’s no need to worry, as identifying the issue means you already know of an opportunity to improve your funnel! Each funnel has it’s own goal, and that goal can be short-term or long-term. Based on how you’ve defined your funnel, understanding how quickly your users move through it can provide you with valuable insight. This insight could inform UI/UX changes you need to make for app errors, or represent an opportunity to run app marketing campaigns to boost funnel conversions. Let’s look at an example of each case. The checkout process in an eCommerce app should be able to be completed quickly and hassle-free. If your users aren’t completing these stages easily, there could be an issue with adding the product to the cart or submitting payment information that is causing the user to abandon the process. Luckily for you, if users aren’t moving through these steps swiftly, you know the first place to look! Alternatively, in a gaming app, where funnel stages can represent levels, your users may naturally take longer to complete each event as they play the game. Identifying which steps take longer than desired presents an opportunity for targeted marketing. One approach could be sending an in-app message aimed at encouraging the player to purchase help or simply providing it to the player. It’s important not to assume that users are absolutely coming from the previous event you’ve set up within the funnel. Perhaps there is a separate organic screen flow that you can identify. For example, take a sports app that displays scores and news. You create two funnels to measure how engaged your users are. One is for tracking articles read and the other for scores checked. However, you find a large percentage of the users getting to the “Article Viewed” event are coming from “Scores Viewed.” Recognizing this natural flow, you could place links on the individual “Scores Viewed” screens linking them to articles relating to the teams playing in that game. Having analyzed the details of your funnels, you just improved the user experience for the app. Better yet, now you can create a new funnel comparing the conversion rates of users using the links v. those that aren’t. 3. Answering: Where are My Users Dropping Off? Knowing where your users are leaving the funnel is critical to improving conversion. When diving deeper into your funnels, look at where else in your app users are going instead of the next funnel stage. As it often is in eCommerce apps, users tend to complete “Added to Cart” but drop off before the final “Checkout” stage. You decide to take a closer look and realize that users aren’t willing to take the final step. This could be the right place for an app messaging campaign to re-engage those users. For example, you can set up a new push messaging campaign to alert users of left items in their cart, or send them a notification when stock of that product is running low. Another alternative is to use an in-app messaging campaign. To continue with the eCommerce app example: say you realized users were viewing product categories, but are not continuing on to view individual products. You can develop an in-app messaging campaign targeting users who viewed a specific product category offering a discount on an item within that category. After you initiate the campaign, you can analyze the “Product Viewed” event and determine if users are coming from your in-app message. This helps you confirm that your marketing campaign is driving users to next step of the funnel. With the previous examples, you saw how marketing campaigns could be used to bring a user back into an existing funnel to complete a certain event. 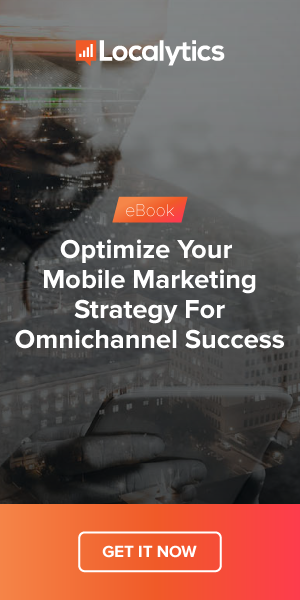 But you can also create funnels solely for a marketing campaign to track how many users are clicking through and converting on your app messaging. App marketing campaigns are a great way to communicate with users, but remember to use them appropriately. You don’t want users to think you’re spamming them! Too many messages could not only lose one user, but that user might share their bad experience with others. Funnels aren’t just about measuring conversion rates; the numbers need context to provide meaning. Drilling into the details of each stage in the funnel will provide that context, especially when analyzed with your marketing campaigns in mind. Dig deep into your data by comparing date ranges, analyzing by attributes, and looking at where both converted and lost users are going. If you can identify the conversion issue then finding a solution is that much easier! If your funnel is doing great, that’s awesome! Still, take the time to look at the details because your funnels can always be improved. Whether it is tracking your users through a purchase process or re-engaging them when you thought you lost them, funnels are an amazing tool to track different user behaviors and measure specific goals important to your business.